First Time Buyers… Don’t Be A Pawn! Recently RBC announced that they will pay a Realtor $1000 to refer first time home buyers to them for a mortgage. RBC is Canada’s largest Bank and the largest provider of Mortgages in the country, but it seems they want a piece of the first time buyer business that Mortgage Brokers enjoy. CMHC has shown that about 44% of first time buyers use Mortgage Brokers. No surprises here! First time buyers are generally computer and Internet savvy and they are comfortable getting their mortgage by using on-line applications. They often enjoy completing the transaction electronically just as a matter of not having to make an appointment. The cash offer is part of Royal Bank’s referral awards program for real estate agents. The program allows agents to collect points for referrals that they can trade for things like plane tickets, merchandise, gift cards or charitable donations. If you are a first time buyer how would you feel knowing that you are being guided to use a lender, not because it’s the best option for your mortgagee, but rather so your Realtor can receive a fee, or plane tickets, even gift cards? Consider that as of the writing of this article on June 3rd 2014, RBC is offering 5 year fixed rate mortgages at 4.94% on their official website while we as mortgage agents are offering 2.97% for the same term. If you will consider a 4 year mortgage term we can also offer 2.77% as a rate special. A Mortgage will probably be the largest debt that you ever have so be sure you get the right type of mortgage with the best rate and terms for your personal goals. Contact us today if you’d like to talk about meeting your own needs. 866-452-1100 or Apply on line now! 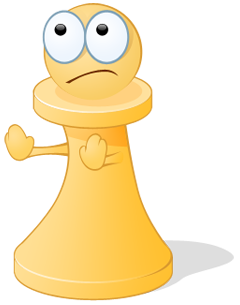 Avoid being a pawn at RBC! Categories: Industry News, Mortgage Brokers, Mortgage Rates, Uncategorized | Tags: CMHC, First Time Home buyers, low mortgage rates, mortgage rate specials, online mortgage applications, posted rates, RBC, RBC referral fees to Realtors, real estate agents, Realtor Promotion, Royal Bank | Permalink.